Bobcat Works has been in operation since 1997 and continues to thrive. As more of our customers spread the good word about what we can do, we are going from strength to strength. 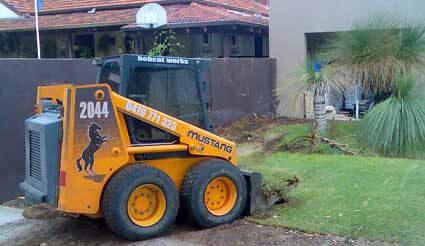 Scott Philips, owner of Bobcat Works, has been involved in the industry for well over 10 years, and has built up a strong set of skills, and a solid reputation for quality and professionalism. We operate a small honest business that has a goal of achieving perfection, producing good workmanship and most importantly having a happy customer. Bobcat works looks after our environment by using biodiesel for a cleaner future. Biodiesel is a renewable fuel that can be produced from locally sourced feedstock. It has significantly reduced levels of sulfur and burns more cleanly, which is better for you and the environment.